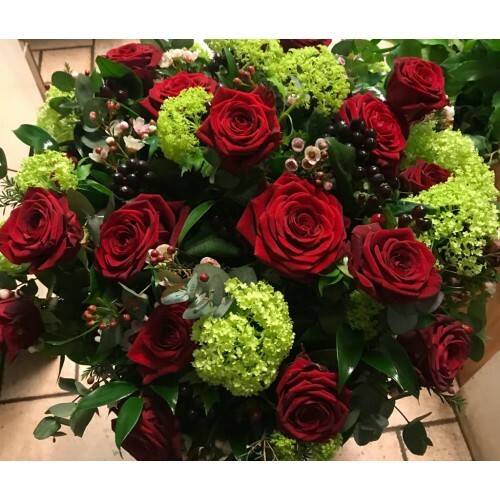 An exquisite hand tied bouquet design of Naomi red roses with Viburnum and Wax Flower. 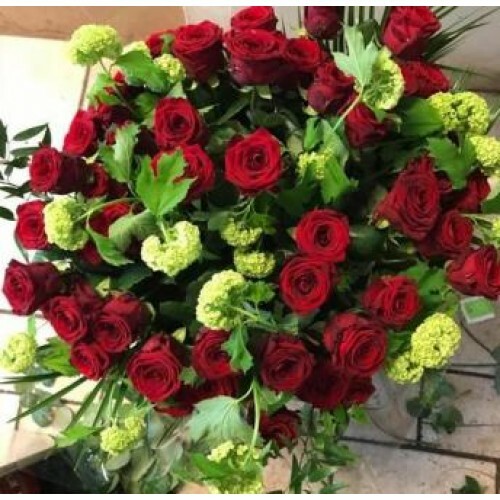 Main Picture is showing Luxury 24 red roses. The second picture is showing Luxury 48 red roses.